The Department of Defense (DOD) depends on rare earths that contain one or more of 17 similar metals which have unique properties, such as magnetism at high temperatures, to provide functionality in weapon system components. 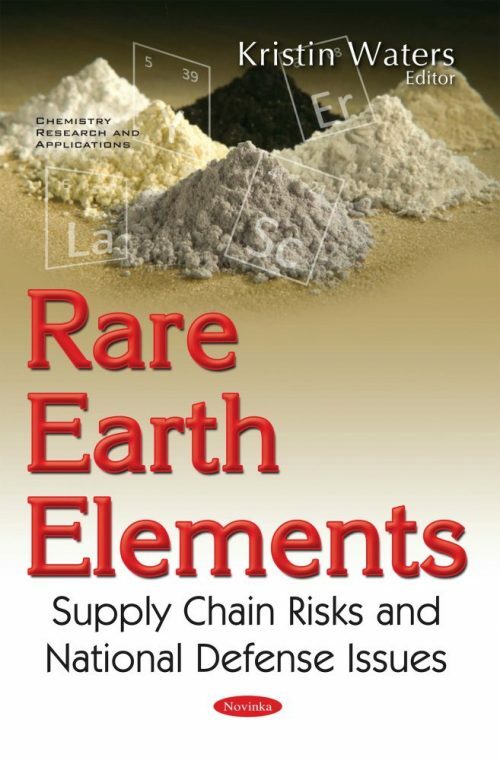 Many steps in the rare earths supply chain, such as mining, are conducted in China, a situation that may pose risks to the continued availability of these materials. The Joint Explanatory Statement accompanying the Carl Levin and Howard P. “Buck” McKeon National Defense Authorization Act for 2015 included a provision for the United States Government Accountability Office (GAO) to review DOD efforts to identify and mitigate risks in its rare earths supply chain. This book assesses the extent that DOD determined which rare earths, if any, are critical to national security; and has identified and mitigated risks associated with rare earths, including the effects of a potential supply disruption.